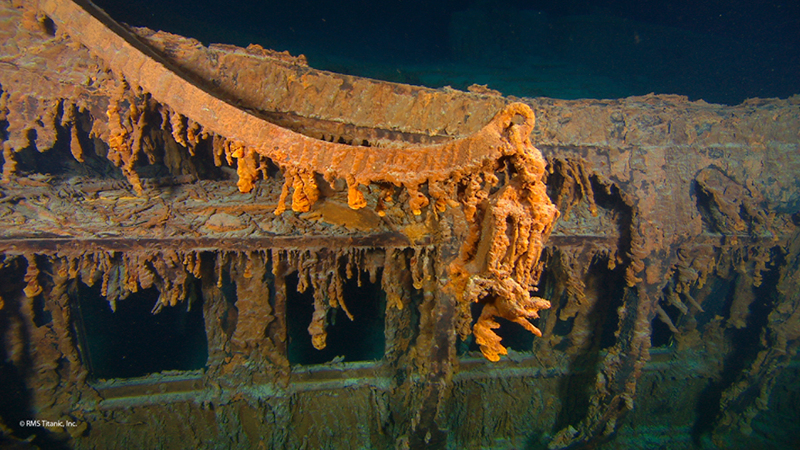 Halomonas titanicae is a species of bacteria which was found on rusticles in the wreck of the RMS Titanic, at the bottom of the sea. Dr Henrietta Mann discovered the bacteria when analysing rusticle samples taken from the Titanic in 1991. 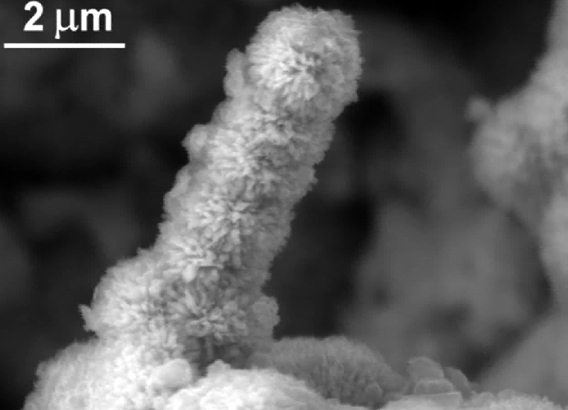 The image is from an Environmental Scanning Electron Microgrpah (ESEM) and shows a stacked mineralized individual bacterium in the form of a stalagmite shape occurring inside a rusticle. The bacterium, named Halomonas titanicae, sticks to steel surfaces, corroding them. 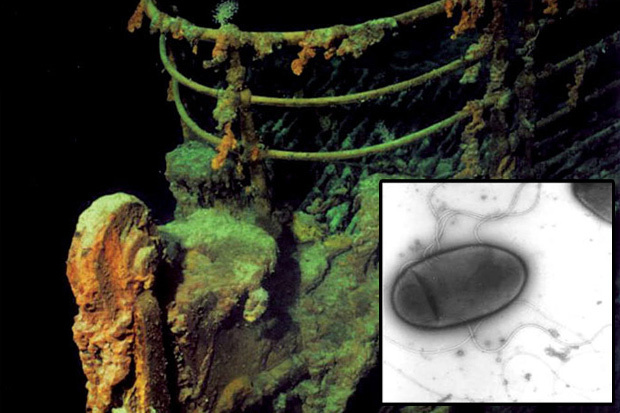 The bacteria has been listed as potentially dangerous to oil rigs and man-made objects in the deep sea, although an advantage to Halomonas titanicae’s discovery is that old ships that litter the sea floor will be recycled by this bacterium.